I have no idea if people around the world, or even around the U.S. outside the lovely South, eat Mississippi Mud cake, but I’m here to let y’all know that it’s worth eating, no matter where you are. Moist chocolate-y cake, crisp pecans, and an icing made with chocolate frosting mixed with gooey marshmallows. Simple, almost childlike, in its construction, but I haven’t met many adults who didn’t happily dig in. Here’s an easy version to try; instead of baking a scratch cake, when I’m in a hurry I will use a cake mix. If you want to do it from scratch, here’s the recipe to use. Combine icing ingredients in a mixer bowl, and mix until icing is very smooth and creamy, about 2 or 3 minutes. Set aside. Prepare the cake mix according to package directions, adding the pecans to the batter at the end of mixing. Pour into greased or sprayed 9×13 pan. Bake in a preheated oven five minutes less than package directions indicate. 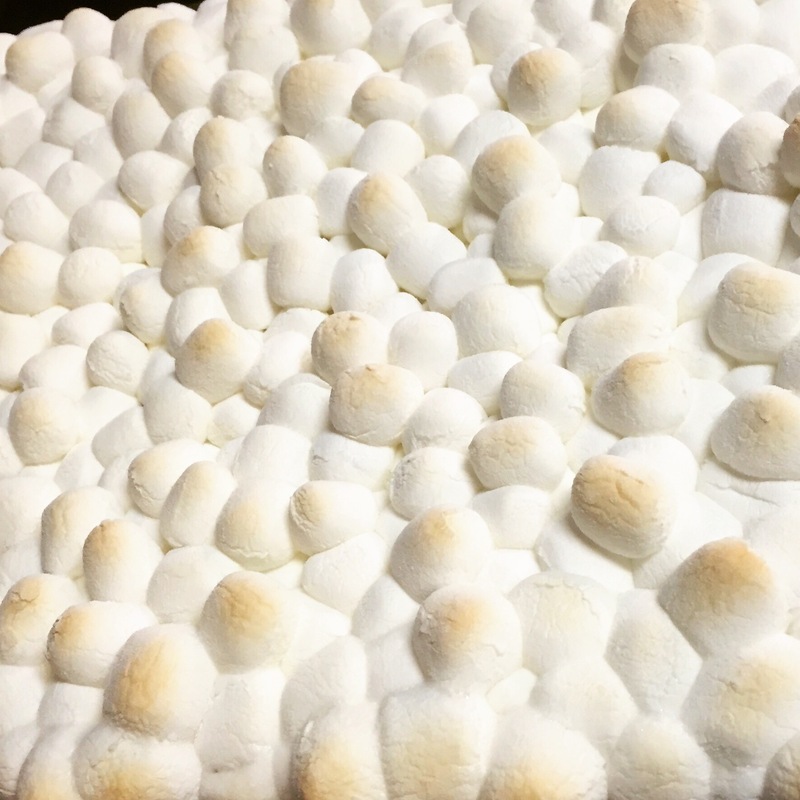 Pull out of the oven, cover with the marshmallows, then bake five minutes more. Allow to almost completely cool before cutting. Enjoy with a tall glass of cold milk! 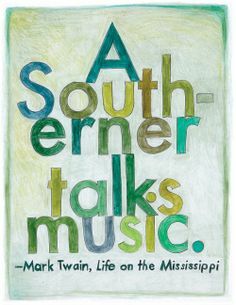 Found this on Pinterest…loved the quote and the art! I’ve never, ever heard of mud pie before but this looks like something I really need in my life! Chocolate is my best friend 🙂 BTW, I just discovered your blog and absolutely love it. 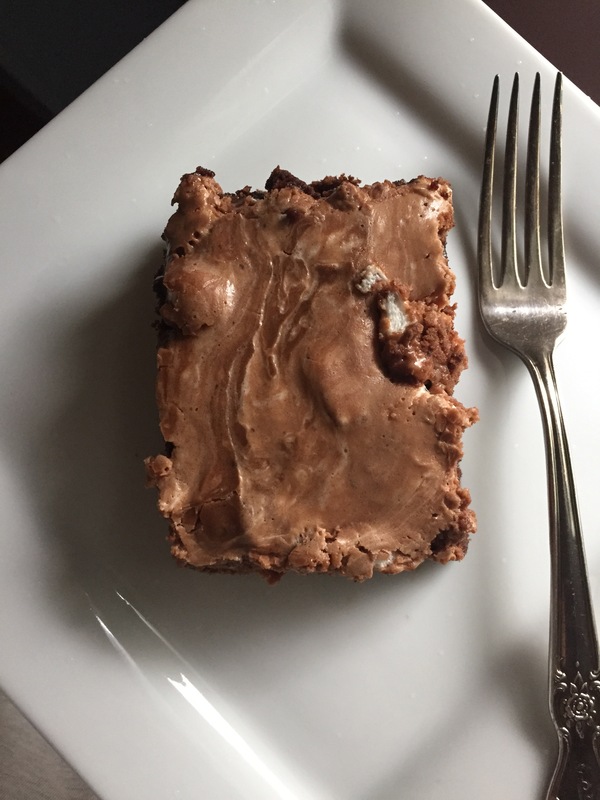 Thank you for sharing such awesome recipes – I can’t wait to try them out! If you like chocolate, you’ll love this cake! 🙂 Thanks for your kind words. I just followed your blog and can’t wait to check out your posts! I’m really curious about the texture of this mud pie. What is is normally served with? 🙂 Thank you! I can’t wait to see more of your recipes! It’s actually a cake, not a pie … Though there are recipes out there for Mississippi mud pie, this is a moist Mississippi mud cake, with a moist chocolate cake topped with a gooey icing.